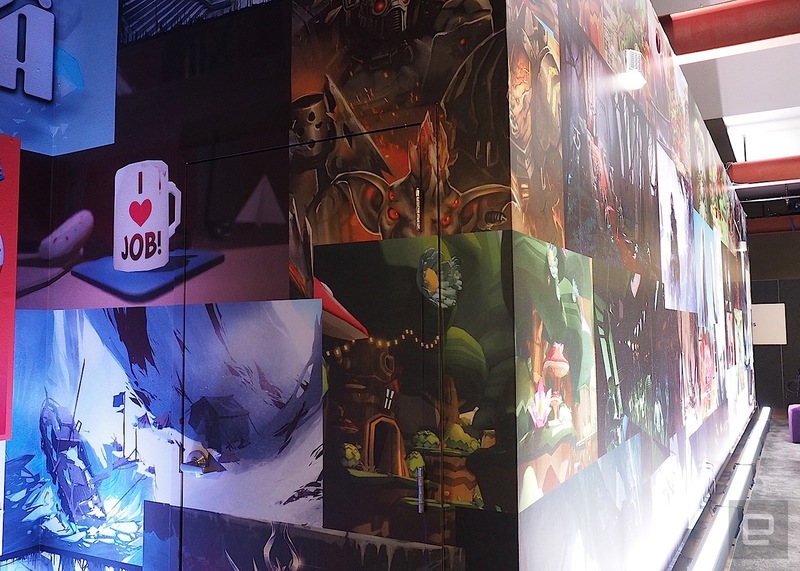 From beautiful works of art to full-body immersion, Oculus Rift's first games point to a bright outlook for virtual reality. I hid behind a stack of wooden crates in the saloon, trying to dodge the bullets flying at my general direction. Panicked, I frantically reached for the pair of revolvers by my side, pointed them at my assailant and fired repeatedly. She went down, but so did my ammo. Soon, her partner showed up to take me out and without even thinking, I grabbed the dynamite that magically appeared in front of me and threw it at him. Boom. Unfortunately, my first victim came back to life, and before I could take aim again, she lobbed something at me and I was blown to smithereens. Of course, I wasn't actually a gunslinger in the old West; I was simply playing a video game. But the difference here is that instead of mashing the A button on a control pad, I had my knees on the ground with my arms held out in front of me, Oculus Touch controllers in each hand, an Oculus Rift strapped to my head and my entire body in a crouched position. I was playing Dead & Buried, a multiplayer VR title developed and produced by Oculus Studios, at an Oculus Game Day event this past Sunday. And yes, the game was that immersive. 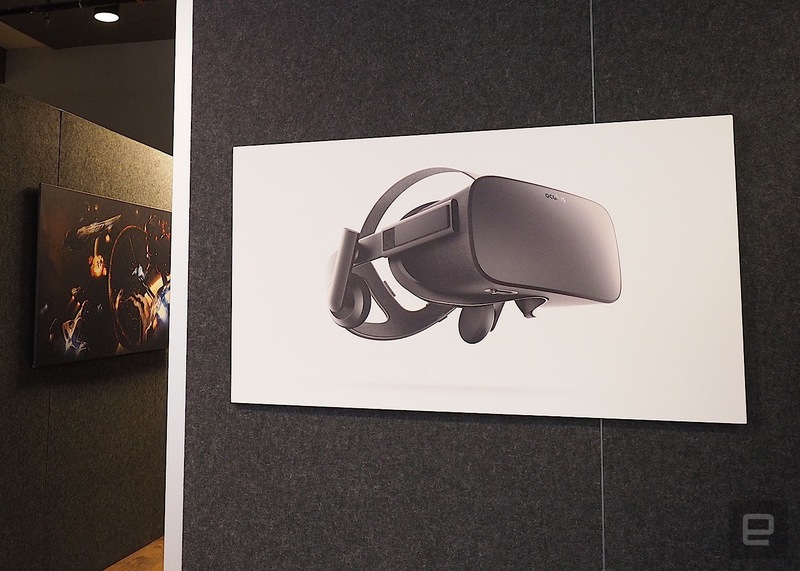 Jason Rubin, Head of Oculus Studios, said that when he played it for the first time, he actually split his jeans because he dropped to his knees too quickly to hide from enemy fire. That wasn't the only game I played that day. In fact, I spent nearly eight hours playing 15 out of the 40-plus titles that were at the event. With all that ducking and weaving and arms flailing, I was physically and mentally exhausted at the end of the day. 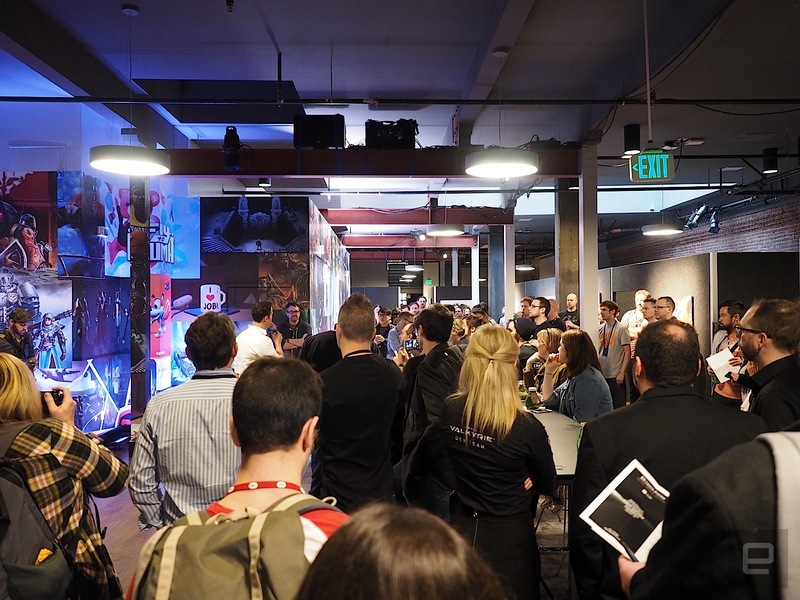 I also had an absolute blast of a time and came out of the event wanting a VR rig more than ever. Before I get too far in detailing some of my more favorite games, let me touch a little bit on the Rift. If you don't already know, the consumer-edition of the Rift is much more compact and lightweight than its previous iterations. The front panel is nice and smooth, much of the hardware is covered in a mesh-like breathable fabric and the goggles are padded along the inside rim. It's been redesigned to accommodate glasses, though I still found it most comfortable to wear it without. The velcro-lined adjustable head straps feel pretty snug and there's also a little dial that'll let you adjust for the distance between eyes. It also comes with integrated headphones -- which I rather like -- but you can always supply your own. As for the optional Oculus Touch controllers, well, in my opinion, they're almost mandatory. They add vital gesture control to certain games that make them more immersive than without. In the aforementioned Dead & Buried game, for example, shooting at my rival with an index finger poised on the trigger button is way more life-like than a thumb mashing on a button. Now, the games. As I said, I played 15 titles at the event, but you've likely heard about most of them before. So for the purposes of this post, I'll focus on just a few highlights. Aside from Dead & Buried -- which is my clear favorite -- I'm also in love with Ubisoft's Eagle Flight. Here, you're a bird of prey flying above the city of Paris 50 years after the disappearance of humans (who knows what happened there). Changing directions in the game is as easy as tilting your head to the left or to the right as you're mimicking the movement of flight. I had a chance to play in a multi-player setting, where a team of three eagles went up another team of three to bring a dead rabbit to their corresponding nest. Even though we were all wearing headsets pretending to be birds in a made-up world, we were soon shouting at each other to either help or hinder the other players. It was immersive, fun and surprisingly social, which goes against the notion of VR being a solitary experience. Other favorites include High Voltage's Damaged Core, where I acted like a virus and jumped from cyberbot to cyberbot, and Schell Games' I Expect You To Die, where I was a spy trying to solve a get-out-of-this-room puzzle. The latter was especially a delight because it made use of the aforementioned Touch controls, and allowed me to pick up objects and manipulate them. The only downside is that I wished I had finer motor control -- for example, I wish I was able to use my thumb and forefinger to pick up objects, instead of relying on a rather ham-handed fist technique of handling items. I also liked Fantastic Contraption, where you can take different objects and put them together to solve a particular objective. Why yes, I do like puzzle games, I'm sure you can tell. That's sort of the surprising thing about VR, at least for me; that it lends itself to so many different game genres. From the ones that require whole body movement like Dead & Buried to more puzzle-type games like Owlchemy Labs' Job Simulator or Robot Invader's Dead Secret, being fully immersed in the world makes a big difference as far as your level of engagement goes. Instead of just pretending to be a detective in a crime, for example, you are the detective, however momentarily. I remember trying to feel my way out of a trapped car in a game, saw that there was a seat next to me, and thought I could just rest my hand on it for support. Of course, there was actually no seat there at all and I ended up almost falling over to the side. (Pro tip to not play VR alone lest you hurt yourself while doing so!). There were a few games here and there that I didn't like too much -- Studio HG's Smashing the Battle was too much like an old-school button-masher, Slightly Mad Studios' Project CARS seemed like a traditional race car game and playing Rock Band in VR felt just like playing regular Rock Band (To be fair, the latter hasn't been optimized for VR just yet. You can read more in our post here). But even they made me feel immersed enough in their respective worlds. "The future of VR is wide open," said Lindsay Jorgensen, one of the artists behind Fantastic Contraption. "It's really cool that there's all these normal things that you can do and then make it a little weird." Normal things that are just a little weird. Maybe that's what I like about VR the most. 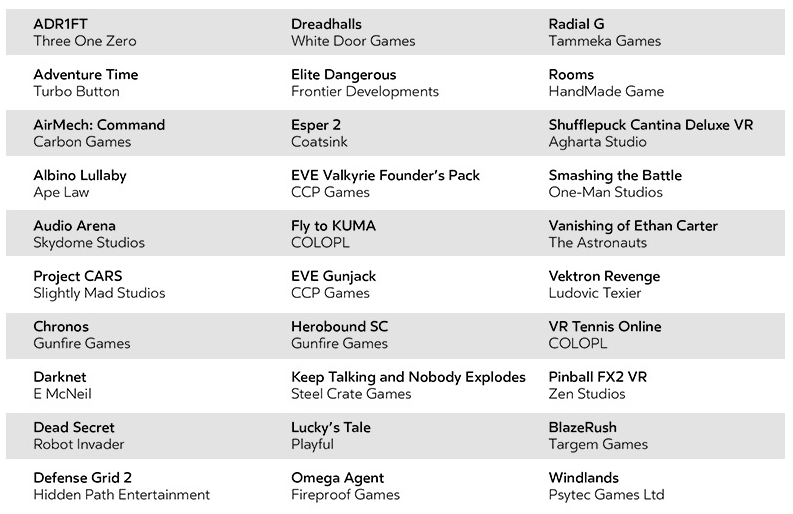 Update: Oculus today announced the full list of launch titles. All told, there will be 30 games available when the Rift comes out on March 28th. We've added those below.